OMG! Can you believe July is almost over? Neither can I! I’ve actually already started (slowly be it…) to get ready for Back-School. So as I’m reflecting on the upcoming school year (because that also counts as getting ready in my book!) I started thinking about student writing and how I want to really focus on more than just quick writes. Time for some real talk… Writing is always (I mean ALWAYS!) an area of “opportunity” for my fresh faced seconds. I’ve decided that writing must be the “summer slip” for first graders. They are out of practice! So what could I do as their teacher to help rebuild and expand on their writings? I’ve found that my students have had tremendous growth and maturity in their writing when I used just few quick tips! We’re talking five paragraph essays from 8 year old’s, peeps! So today, I thought I’d share 5 of those tips with you! Tip #1: MODEL! MODEL! MODEL! Although this one is not ground breaking, I can not stress this one enough! If we want students to write, WE have to write, too. Almost every writing lesson I do, I model what I am looking for. And not just here’s what it should look/sound like model. But, actual writing it out in front of them, model! -indenting paragraphs on lined paper. -capitalization and using the correct ending punctuation. -rereading what is written out-loud to make sure it makes sense. So let’s talk discuss how this looks in my classroom. At the beginning of the year, when we’re working on a writing piece, my modeling looks much different than it will towards the end. There is a high level of scaffolding, with simple text structure and content. I expect that most of my students will copy what I am writing, so I move slowly though the process. Most of writing magic happens on my white board, so it’s hard to share what my writings look like because I *gasp* erase them! I do though love this modeled writing from Mrs. Lemons over at Step Into Second Grade. As the year progresses, I still model. It just starts to mutate into less about what I am writing and more into what the students are writing. I might only write the grabber and an introduction sentence (more on those in a minute!) and then let the students fill in the supporting details. I may even swing back through at the end to brainstorm a few conclusion sentences and suggestions for zingers (Stay tuned!) As students are writing, I usually walk around and spot check each student’s piece. This includes reading a few sentences out-loud, discussing word choice, and brainstorming ideas as needed. Teach a formula and stick to it! Most authors follow a formula when penning their latest novels, so shouldn’t we teach an easy to remember formula, too? Writing formulas can bend and change as the needs of what we want out of student’s writing change. I’ve used several in the past. B, 1-2-3, E – Stands for Beginning, 3 details, and an Ending. Works great with narratives! I wish I could take credit for this ingenious formula that has changed my writing instruction forever! But, it is an adaption of the writing style taught by Melissa Forney. A few years ago we were blessed to have her conduct a PD at our school. In addition to inspiring me to become a better writing teacher, she also completely changed how I teach writing.You can check out more about her here. Ok… Back to the formula. I love this formula because it lends itself nicely to just a one paragraph writing or a basis for a five paragraph writing. It can be stretched and modified so easily for almost any genre of writing and guarantees an almost perfect writing every time! At the beginning of the year, I like to create this tab book foldable with my kiddos to help cement the writing formula I like for them to use. We label each tab with a different step. Then on the inside we write what each step is and an example of what it looks like. I won’t bore you with each tab (We’ve got five tips to share here people!) but I’ll run through and share a bit about each step! Introduction- Tells your reader what you are writing about. Details- Give three solid details to support your introduction. This is great because later, students can use these details to create full detailed paragraphs in a much longer piece of writing. Zinger- (Side-snap!) A question, a quote, a foresight. Something that leaves your reader wondering and thinking that this was a great writing! Once you’ve figured out your writing routine. Stick to it. Refer back to it. Use it every time you write. For a few of our writings at the beginning of the year, I like to have student color code the specific parts using matching markers. Once the writing formula becomes a routine, you’ll find students will continue to naturally use it every time they write. A few years ago, my district became obsessed with rubrics. Everything should have a rubric. How else would students know what they were being graded on? I thought this was a very agreeable argument, so I jumped on, and I’ll tell you guys. I’m never looking back! If you’ve purchased any of my writing crafts you’ll know I always include a rubric. We love writing about our best friends! Kids love this expository writing on the steps of taking care of a boo-boo! Grab this activity here! In the beginning of the year, I create the rubric, but as the year progresses, students start to add their own input and can create their own rubrics. What a great way for students to take ownership! This little tip stems from the Common Core Standard that discussing using peer editors. Now, I know what you’re thinking. My littles can barely read, let alone read each other’s writings. But I PROMISE it will be worth your while! Pinkie promise! Just stay with me on this one! Here the kiddos worked on a writing response to the story, “Mice and Beans”. You can read more about this fun writing craft here! Taking the time at the beginning of the year to teach students how to “edit” a fellow student’s writing will save you hours (and I do mean hours) of editing time during your writing’s workshop. -Keep it appropriate for their age. I don’t teach editing symbols in 2nd grade, but I am sure I would if I taught 3rd or higher. I do teach that it’s the buddy’s job to make sure the writing makes sense, has good conventions (capitals and periods) and contains all the pieces in our writing formula (see tip #2). For younger students, you could have them use the “2 Stars and a Wish” technique where after sharing their writings, each student gives 2 kudos and 1 suggestion or question for the writing. -Use pencil only! Just because you taught them how to edit, doesn’t mean they’ll do it perfectly every time. Pencil allows for those little marks to be erased or moved while you’re editing later. So if you were to walk away from this post and only try to implement one thing I’ve shared with you today, it should be this: One-on-One Conferences. What is a one-on-one conference? Well… it is basically taking the time to sit, discuss, and edit everyone’s paper. I know what you’re thinking: I already do this or Ummm… Ain’t nobody got time for dat! If you already do it, GREAT! You’re one step ahead of the game! If not… then make time. Personal feedback has been proven to be more more effective than any other forms of assessment. When you take the time to sit, read, and discuss a student’s writing, you are telling them you care about their work, that you enjoy their work, and you want to them to do the best they can or even better than they every thought they would. When I sit down with my students, I “edit” their paper in the traditional way (capitals, punctuation) but I also discuss word choice, use of voice, and structure. This is my time to push that little writer a little bit more-making them exceed even my expectations. Each time I sit with them, I’m given an opportunity to correct, improve, and push. This is invaluable to me. So how do you make the time? I usually plan “editing” sessions into my writing’s workshop for several days. As students finish their rough drafts, they pull out their “unfinished work” folder. This is a signal to me that they are ready for me to look over their work. I’ll call them to my back table, conference, and send them on their way to work on their final copy. While students wait, they can be working on an illustration, the craft that goes with it (I love my writing crafts!) or reading a book. It’s dangerous to just have students sit. Don’t play with classroom management fire! Make sure you have something meaningful for them to complete while you work through the crowd. Want writing set for the entire year? Check out this HUGE writing bundle! Whew… did you get it all?! LOL! So, what is one thing you hope to implement to better your little authors this year? It could be something from my tips, or another tidbit you picked up along the way! Hey Megan! Thanks for your kind words! I know your student's writing will rock this year! This is a fantastic post! I always feel like I can improve in the area of writing instruction! Thank you for your wonderful ideas! I love this post! Your tips are great! Even though I am teaching upper grade now, they are applicable to me, too, with a few modifications/ additions. Writing is always an area I feel I can work on. Thanks for sharing! There are so many great ideas in this post! I felt like I was a pretty good writing teacher when I taught 4th grade, but this past year in 2nd grade I was lacking. I will definitely be incorporating rubrics and conferences this year. Thank you! I have always struggled most with teaching writing. It's just SO messy and unpredictable. I was very inspired by this post. I think it will help me to stick to a formula, make better use of rubrics and peer editing, and especially make time for one-on-one conferences. It's those little steps that seem the most time consuming that really make the biggest difference. Thanks! Thanks so much for these great tips! I am always looking to improve how I teach Writing. I'm looking forward to using what I have learned. I think you share some great ideas regarding improving students writing – especially modeling and one-on-one conferences. After reading though, my mind was reeling with questions for you! I cannot help but feel like using the word "formula" can be dangerous when speaking about writing. The use of this word could make students feel like there is only one "right" way to produce writing. If they feel this way, then we have failed at creating a safe environment for students to write and share their ideas. With the expectations of Common Core, which you reference, I feel like formulaic writing is a thing of the past. The expectations require deeper thinking and a more fluid writing product. Although the writing standards themselves may lead to an easy checklist or rubric for each genre, I'm not sure formulaic writing fits in. When teaching writing to a formula, the process of writing can be stifled. If we are facilitating for our students and providing a comfortable environment for them to "talk using their pencils" then they should also be provided with examples of writing that vary. We can all write about the same thing, but none of our writing should look exactly the same. Of course, students ideas will vary, but what about the flow of their writing? Their voice? Conferencing about word choice would be a great way to combat this, but I can't help but wonder if students will always go back to the formula. Having taught a variety of grades, the most difficult thing to combat for me as a teacher is negative student attitudes toward writing. It is our responsibility to foster of love of learning – of reading and of writing. The most popular question in my fifth grade classroom at the beginning of the year would be "How long does it have to be?" This question has a connection to formulaic writing. Don't get me wrong, I am guilty of having a display or checklist showing OREO for argumentative writing, etc. But these were meant as guidelines – not the end all be all. I believe that if students are encouraged to get their ideas down on paper first, experience that organic feeling of transcribing thoughts to paper, that structure and organization tend to follow right behind (with scaffolding of course). My concern is that relying on formulaic writing will take away students' ownership of their ideas and of their writing. When using rubrics, do they have a say in what the rubric lists? Are the aspects of great writing discussed? Are different exemplary texts shown? Being a teacher of young students, I feel it is important to show students that it is okay to write just for ourselves. We do not always write for an audience, whether that audience is a group of peers or a panel grading a writing exam. My hope is that in classrooms that use formulaic writing, opportunities are also being given for students to write freely, without constraint. WOW! Thank you for sharing such a wonderful and detailed opinion on writing instruction. I think you missed the point of my post, but I appreciate you taking the time to read and comment. I totally agree that student's should feel unrestrained when writing, but I am a firm believer that teaching writing structure (especially for reluctant writers) will further creative writing. It harbors a "safe house" where students feel they can explore the writing process without worrying about structure. I've seen this structure used to create elaborate multi-chapter stories from 8 year olds in my own classroom. That's the beauty of it. It can be bent and molded to fit the needs of the user, while serving as a reminder of the key components exceptional writings pertain. The formula I mention is just the "training wheels" for students to use before they write on their own. Once again, I appreciate you taking the time to share and for starting this writing instruction dialogue. Thanks! I loved the scaffolded writing you provided from Amy! 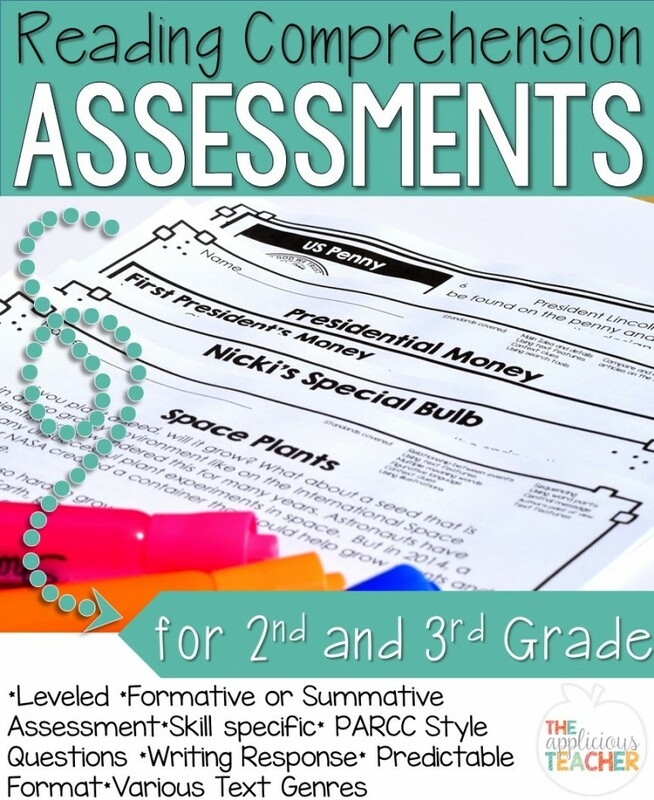 🙂 The color coding is a great way to help students–especially ESE students–learn how to produce a solid piece with the components that are necessary for writing that ends with a sense of completeness. Thank you for your kind words, Friend! I am so glad you enjoyed this post. Best of luck to you and your team on the direction you take for writing. I love to think I could have sparked the discussion that inspired teachers to focus on writing instruction in their class! This is such a meaty post! It is a must read for new and seasoned teachers. Let's face it-we, as teachers, all have strengths and weaknesses. My goal for this year is to do more peer editing with firsties. It is so hard at the beginning, but it all comes back to MODELING and lots of practice. Hello, Leigh. I'm a new Language Arts tutor at the local Literacy Council, so of course I'm not nearly ranked with all the "real teachers", and you certainly don't need validation from me! But as I've been researching ways to help my class of adult learners, I've already uncovered a lot of documentation that unequivocally agrees with the strategies you've listed here. Now if only those resources outlined things as simply and clearly as YOU have…hmmm. Even though my students are adults, most have no frame of reference for any writing skills. So I need to offer structure & the basics. I have been giving formulas to get them started, and conferencing, but didn't know that I should be modeling more. However, it makes perfect sense, as does the rubric, and I LOVE the peer editing idea. So, thank you for sharing this post; I've learned some great things here. I can't wait to implement your tips, and I'm sure my students will benefit. Hey Meg! Anytime you work teach someone SOMETHING, you are a teacher. Some days, I'm not a teacher, but a mom or nurse to my littles! I am so glad you stopped to share your story with me! The fact that you are able to take away teaching tidbits to better help your adult pupils is AWESOME!